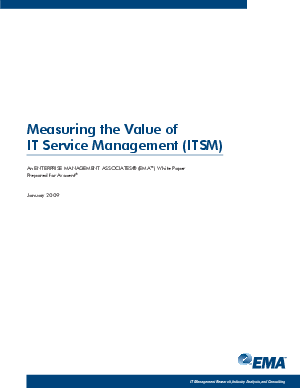 The purpose of this paper is to present a method for reducing risk and increasing IT contribution during uncertain times and to assist readers with measuring the value and building a business case for IT Service Management (ITSM). To this end, the paper explains why IT must become a strategic asset - and precisely how IT can become strategic. In a step-wise fashion, this paper offers solutions for IT organizations at all maturity levels.